(JTA) — Speakers at an event of the white supremacist think tank the National Policy Institute quoted Nazi propaganda and said the media protects Jewish interests. The day-long event of speeches and panel discussions attended by about 200 people was held Saturday in Washington, D.C. 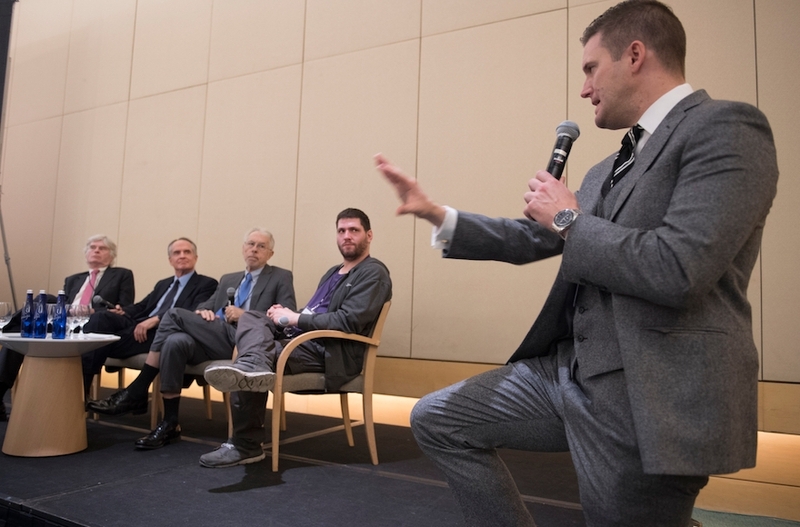 The New York Times reported Monday that the final speaker of the evening, the institute’s founder Richard Spencer, railed against Jews, quoted Nazi propaganda and said that America belonged to white people. Spencer used a Nazi term to describe the mainstream media, calling it “Lügenpresse,” or lying press. One speaker, Peter Brimelow, the founder of Vdare.com, an anti-immigration website, said that Trump and his White House chief strategist Steve Bannon are “not alt-right people,” but that they capitalized on issues important to the movement, including stopping immigration and ending political correctness. Spencer called Trump too beholden to Israel and said his movement is not necessarily opposed to the Iran nuclear deal, according to the Times. As Spencer finished speaking, several audience members gave a Nazi-like salute. “Heil the people! Heil victory,” the people in the room shouted, according to the Times.